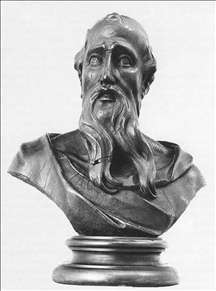 An Austrian sculptor apprenticed first in Vienna to a goldsmith by the name Prenner, and then with Giovanni Giuliani, a sculptor of Venetian origin, who lived in Vienna and in Heiligenkreuz. None of his foreign grand tours can be documented. 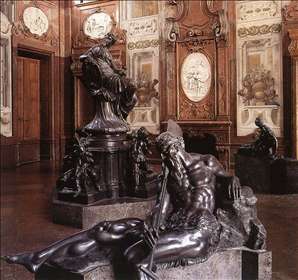 His "oeuvre", however, can t be explained in isolation from such tours, primarily the one to Italy. So far we know little about the first independent years of Donner in Vienna. It is only from 1725 on, as he moved to Salzburg, that the notices about his life and work begin to appear more frequently. 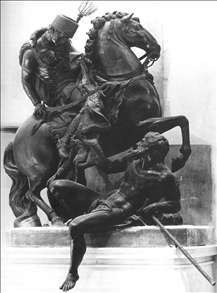 There he made a series of statues for Mirabell Castle, and also worked as a medallist. In 1727 he was charged with a commission from Munich - a medal glorifying Elector Karl Albrecht - and with another from Linz, for a statue of St John of Nepomuk for the Deutschordenskirche. In 1728 Donner returned to Vienna. In the following year he entered into relations with Imre Esterhzy, Prince-Archbishop of Hungary, who commissioned him to carry out the statuary and sculptural decoration of the Chapel of St. John the Almsgiver in St. Martin s Church in Pozsony (Bratislava). 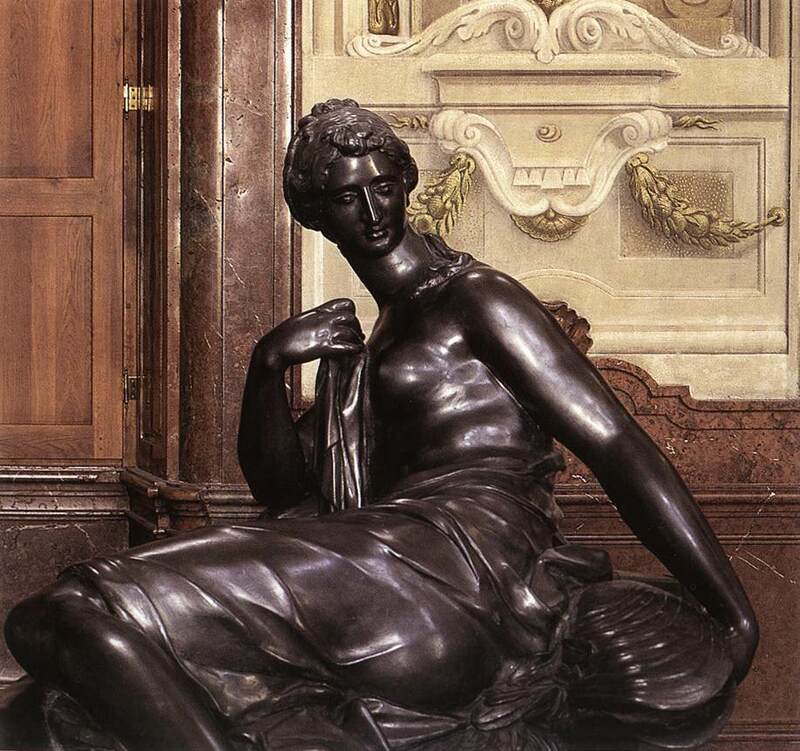 In the autumn Donner went to Innsbruck an Venice to buy the marble necessary for the statues, and in the same year he moved to Pozsony, where he remained in the service of Archbishop Esterhzy until the middle of 1739. 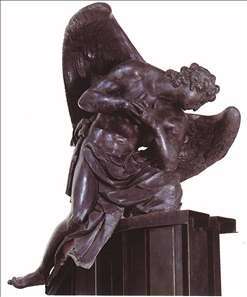 After finishing the decoration of St. John s Chapel, consecrated on 28 October 1732, he created a sculptural group of St. Martin and the beggar, as well as statues of two adoring angels for the new high alter - erected in 1735 - of St. Martin s Church. With these statues he came to a first peak in his "oeuvre". In addition he was among the first in Central European plastic art to use lead. In 1736 he made, with the considerable participation of his workshop, a choir stall, and in 1737-38 two new side altars in the same church. 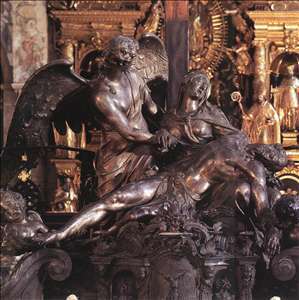 His assistant also made a major contribution to two other works of art: to the new main altar of the pilgrim shrine in Mriavlgy (Marianka), and a side altar in the Trinitarian church in Pozsony, both erected in 1736. Donner himself increasingly focused his attention on commissions from Vienna and its environs. One of his first great works in this region was the marble group of the Apotheosis of Charles VI in Breitenfurt Castle. From the middle of the thirties he also began to produce a series of cabinet works, designed for private collectors. 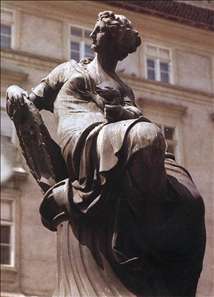 A number of commissions from the Vienna city council, notably the construction of a new fountain in the Mehlmarkt, induced Donner in 1739 to leave Pozsony and to move to Vienna again. 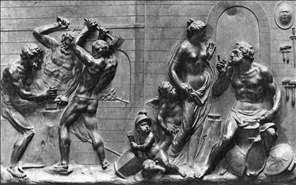 While still in Pozsony he sculpted two marble reliefs for the lavabos in the sacristy of St. Stephen s Cathedral in Vienna and he made the cast moulds for the "Providentiabrunnen" in the Mehlmarkt, but the fountain itself was actually cast in Vienna and unveiled on 5 November 1739. Donner only lived two more years in Vienna. 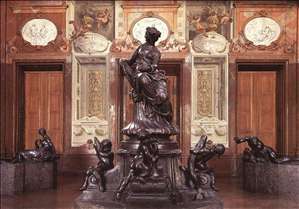 In this brief period he still had time to create an altar of the Holy Cross for Gurk Cathedral in 1740, the Andromeda Fountain ot the then Vienna Town Hall in 1740-41, and his last work, a portrait relief of Bishop Cobenzl in Gurk Cathedral. See more details about "Adoring Angel"
See more details about "Apostle"
See more details about "Danube Well"
See more details about "Danube Well "
See more details about "Pietà"
See more details about "Saint Martin"
See more details about "Venus in Vulcan's Workshop"